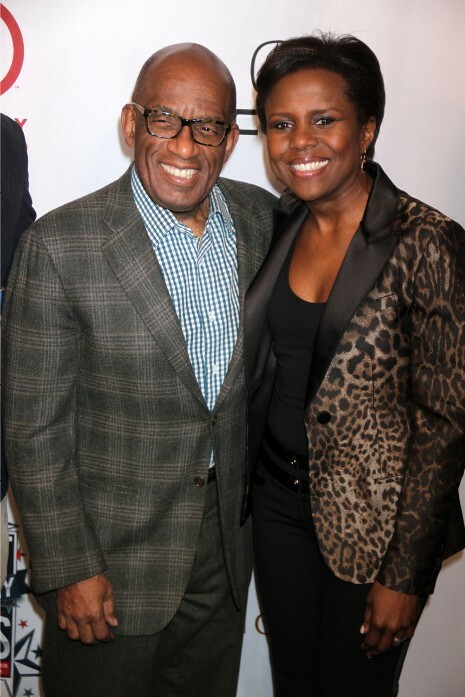 Two of our favorite New York people: Al Roker and his journalist wifeDeborah Roberts. They’ve been married almost 20 years through thick and thin and have a son and a daughter. For much of their marriage, Al, 60, was very overweight and it became a health problem and a problem for his slim and pretty wife. His 2002 bypass surgery helped him get a grip on his weight and now they both enjoy running marathons. Ginnifer Goodwin: The Show Must Go On!